I’ve been learning some new skills, because I need to stay relevant in this job market. I have been a technical editor/writer for years, but suddenly that isn’t “enough” to keep a job. So, looking into other things that interest me and mesh with those skills, I picked web development. This site has been around since 1999 and is constantly being updated with tutorials about, well, just about everything! I use this resource all the time, it’s like a Wikipedia of computer information. W3Schools is full of interactive tutorials that give you immediate feedback about whether you are putting in a line of code right or wrong. Now this is more of a “Pay to learn” site. I really like this one too. I have invested quite a bit of money — but don’t let the “$199” price tag scare you; these courses are on sale very frequently. And once you sign up they will often give you coupons for items you have wishlisted. This site gives you close to one-on-one dialogue with your instructor, through comments. I can’t say it’s exactly like being in a classroom, but it really has made me work my way through classes and feel like I have accomplished something by looking on the projects. This site offers more than programming courses, everything from “Logo Designing for your Business in an Hour” to “Everyday Mind Mastery” (whatever that is) . Check it out, some classes are free! A final note: READ THE REVIEWS. 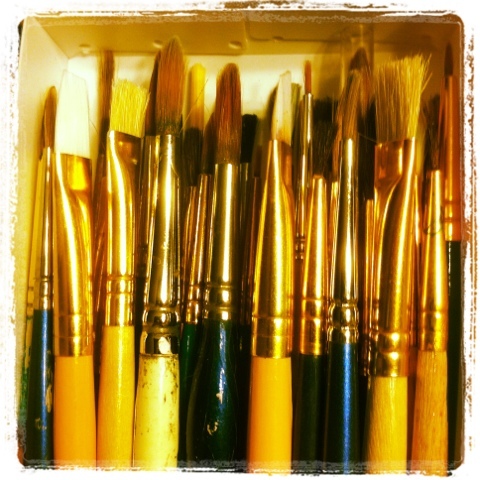 Each of these sites offers classes taught by pretty much anyone who wants to teach you. You can sign up to teach at the same time you sign up to learn. Check to see which class has more star reviews. Read the “This course is using Bootstrap 2 instead of 3 and should be updated” type comments before you invest money. You’ll be glad you did. 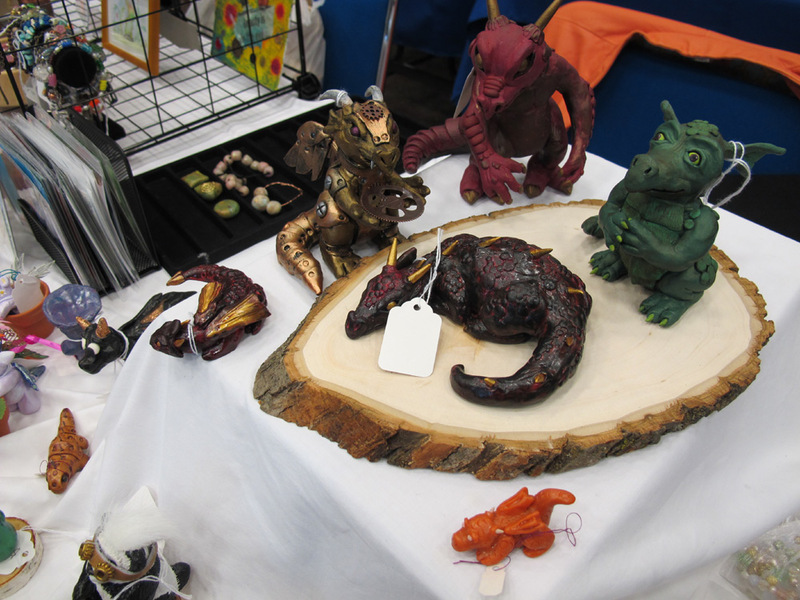 I had a table at OddMall! I was next to SikRik Masks. OddMall was held in the John S Knight center in downtown Akron Ohio, because it outgrew its old venue. I had never been there before, though I am acquainted with the guy who runs the whole show, Andy Hopp, from attending his other conventions. 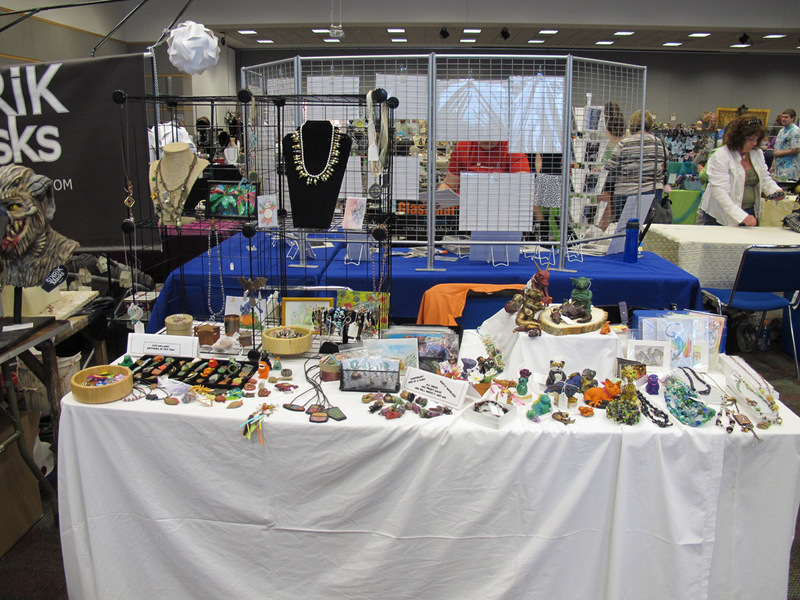 It was exciting to be in a big juried show like this! Unfortunately I didn’t sell very much. But it was a good experience! If you are interested in buying any of my jewelry or dragons, some of the jewelry is up on Etsy, but it is better to just ask me about my dragons via glimmer [at] glimmerville.com. I usually make necklaces to sell on Etsy, but I think I am going to keep this one! Posted on March 29, 2013 Author Rachel RossCategories crafty, cute, jewelryTags buttons, crafty, necklaceLeave a comment on Just for me. 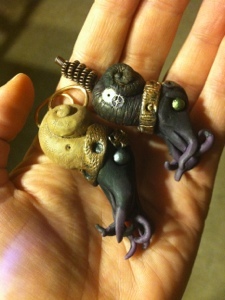 I have mentioned I am working on an army of robotic squid- they aren’t done yet, but here is a sneak peek. 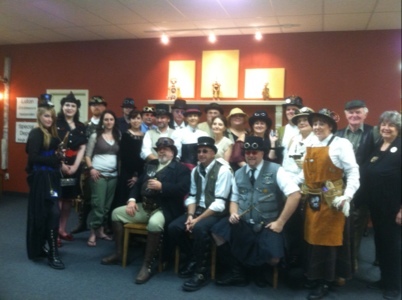 Such a blast was had- thank you Small Studio for hosting! He was old, and tired, and ready to quit. It had been a long life, and a good one – why, at the high point of his career, he had created automata for Kings! And, at the low point, for demons. But it had been a long life, and no one was interested in little automata now. They had all moved on, found new trivial things to tickle their fancies. 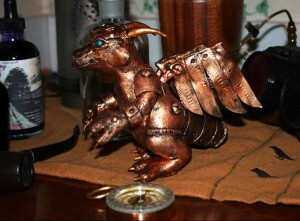 And so he tinkered at his workbench, for lack of anything else to do. And before he knew it, his hands found those tools again. The metal fell into place again, and a tiny creature sprang to life. He chuckled, as he always did. Tiny newborn thing of gears and wires. Ah, but they always had such searching eyes. Looking for knowledge. Looking to please their masters. It turned sparkling teal eyes upon him, obediently waiting his command. And so he began again to father another little life. 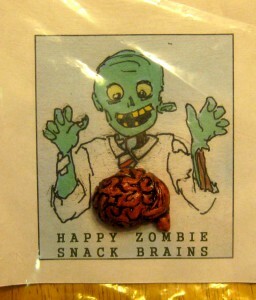 I am happy to say this zombie pin (which you can buy on my Etsy site) was featured at BuyZombie.com ! I have 37 more brains to sell, but most haven’t been posted yet. Please drop me an e-mail if you are interested! And this is what 40 brains look like. They are going to have pin backs and magnet backs, soon, yes very soon… Muahaha. The plasticware defuses the whole sinister vibe. 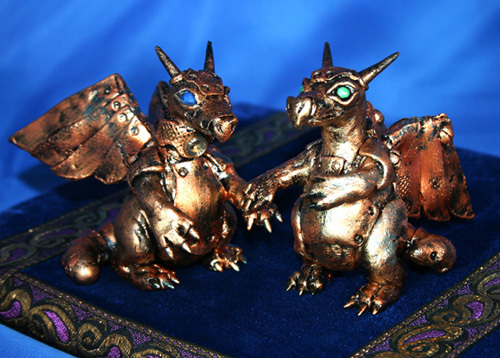 This was my newest Steam/Mech Dragon commission: two smaller dragons for a wedding cake topper. 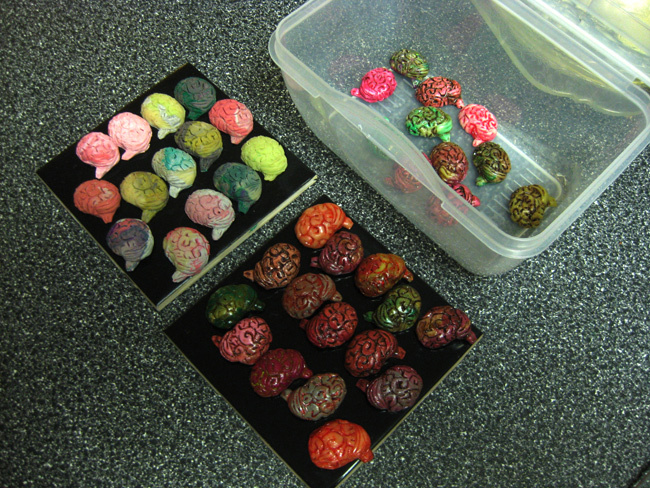 It was challenging since they’re comparatively small (3 inches tall) – but it was fun.